TRAVELPD: A leading GDS Integration company in Bangalore, India. 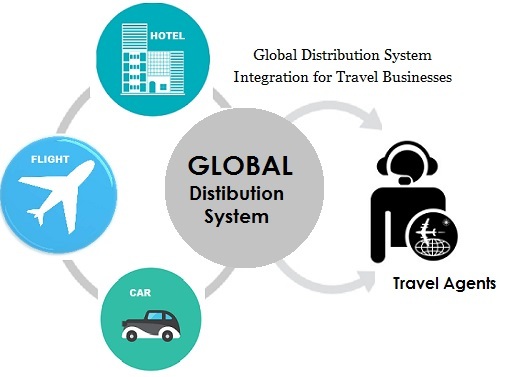 Global Distribution System connects multiple numbers of providers to a shared platform for bookings (flight, hotel, packages and cars) worldwide. As a leading travel technology company, we work on GDS integration and GDS systems to provide the comprehensive flight booking systems to our clients. If you are travel company and you are using Galileo, Sabre, Amadeus, Travelport or you want work with GSA’s, connect with us we offer you the best travel technology solutions. We also offer the best travel portal development solutions to travel businesses globally. Follow the link to know more. We are one among the best GDS integration providers with B2B, B2C & Admin modules; we also assist you in live bookings of flights, cars, hotels and holiday packages. TravelPD offers you the most efficient online flight booking software that facilitates the search for the flights all over the world. To know more about our services and offerings, kindly visit www.travelpd.com.